Overwhelming I know! So based on votes, reviews and Spreadshirt Staff opinions the following Spreadshirt Logos made the short list for Week 1. 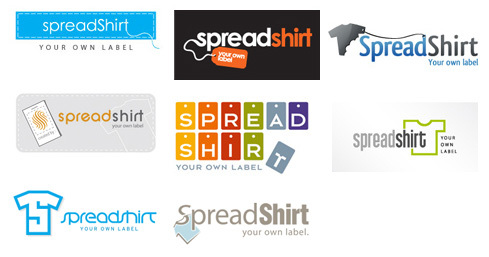 You can check out this week Spreadshirt Logos entries, Adam’s entry, or the current finalists. Sure, glad you like it :), you can get a bigger image if you click on it, or email me at info (at) t-shirttalk.com and I can send you the full size image.